Anyhow, I hope you guys enjoy it! I've been itching to get to this part of the story for some time. It has a lot of goodies in store for both our newer and our long-time readers, and I can't wait to share 'em. Once upon a time, in the dark ages of the comic, I thought it would be fun to do a series of "alternate universe" Sam and Fuzzy stories! I never finished any of them, but the infamous "grim and gritty" Sam and Fuzzy you may have seen before was one of the concepts. Well, so was this one! Although, truth be told, I never actually fleshed the idea out all that thoroughly. Hard to believe, right? There's so much meat there! 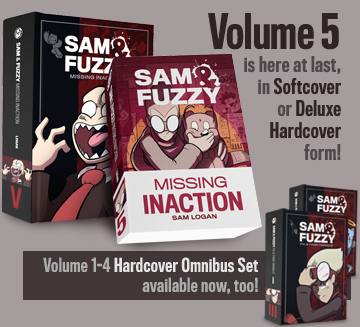 The real new volume of Sam and Fuzzy starts on Monday! See you then, team. 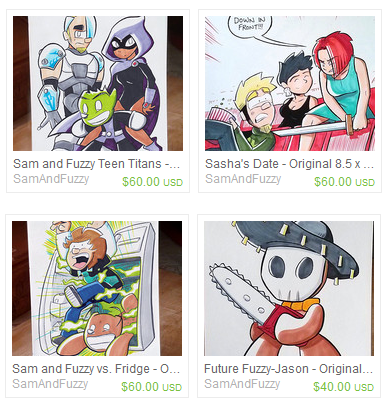 In other news: To usher in the new year, I have slashed prices on the handful of original pieces still left in my Etsy store. If you'd like to nab one of 'em, now's your chance! 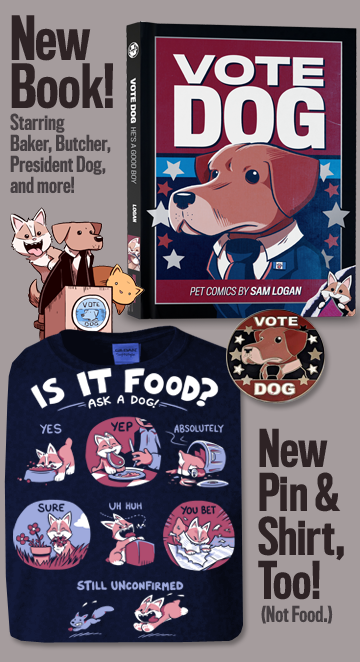 We return on Friday for a special preview of the next volume of Sam and Fuzzy! Sort of. You'll see.